I’m not worried. I’m impressed. I looked out over the crowds of people gathered in the Boston city park. We came to walk together to support awareness about mental health. I’ve done cancer walks and HIV/AIDS walks and domestic violence walks. But this was my first mental health walk. And I was struck by how young the crowd was, easily half of them under the age of 30. While I could worry that so many young people are personally impacted by mental health challenges, I choose instead to be impressed by how younger generations are helping to eradicate the stigma around mental illness. The silence and shame associated with mental illness that myself and the generations before me faced is being replaced by truth telling and acceptance. The entire human family was represented in the park at the mental health walk that day…not one of us free from the impact of mental illness in our lives. I walked for my father whose life was cut short by mental illness. And I walked for my brother who struggles daily with bipolar disorder. The next day we celebrated mental health Sunday and I met with a church group after worship. We talked about how powerful it is to teach young people about their inherent value as children of God. One of the nasty tricks that mental illness plays on us is that it makes us believe that we are too broken to be loved. So when young people are taught that they must earn God’s grace and be deserving of love, or think the right thoughts or do the right things, then God starts to feel very far away. Then add depression or anxiety into the mix and God seems to vanish. 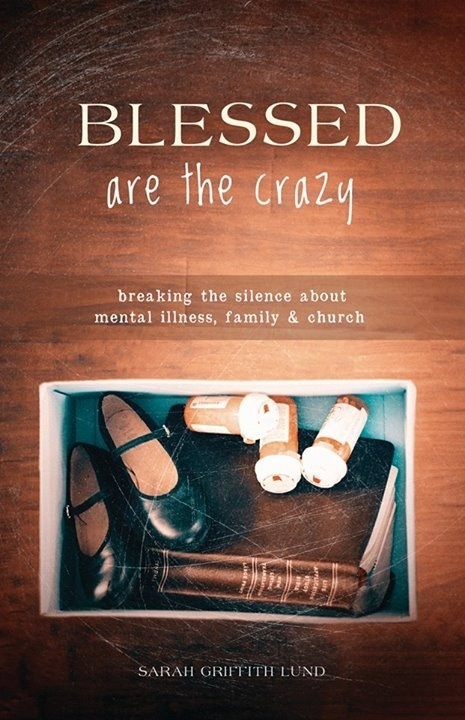 One of the most important things I can say when I share about my faith story is that God does not vanish in the valley of the shadow of mental illness. God is the stream that makes its way through and out of the valley. God is the energy that sets us free from the unseeable present and moves us into the daybreak of tomorrow. That’s the one thing I’m certain of: whether you can feel God’s presence or not, God is there, right at the edge of things. Here’s another thing I’ve come to believe: God is everywhere and God is always in the deep. Waiting and wanting us. We are not falling into nothing. We are falling into grace. God’s grace is plenty big for all of us with mental illness. It’s Texas toast big. Growing up when we were on food stamps my mother took us kids to “kids eat free night” at the local Western Sizzler. What I remember best is the Texas toast. It was buttery deliciousness and it filled me up. God’s grace is like that Texas toast…it’s free and it’s plentiful. I dream of a world that shows grace to our kids living with mental Illness. I dream of a world where it’s always “kids eat free night” in God’s economy of grace. In the classic 1965 film A Charlie Brown Christmas, Charlie Brown seeks psychiatric help from Lucy for a five cent session. Charlie Brown has the Christmas blues. He’s feeling unpopular and wondering why he’s not in the Christmas spirit. Jonathan Rottenberg is a research psychologist at the University of South Florida who studies mood science. In my view Charlie Brown is a candidate for a low depressive mood. In Rottenberg’s fascinating book The Depths: The Evolutionary Origins of the Depression Epidemic, he makes the case that there are evolutionary purposes for our low moods. He says, “Low moods have existed in some form across human cultures for many thousands of years.” What’s the point of feeling blue in the midst of so much holiday cheer? People in low mood blame themselves, repeatedly turn over in their heads situations that went wrong, and are pessimistic about the future. Sounds like Charlie Brown to me. The book argues that the good news about low moods, and why they can actually be good for us, is that a low mood slows us down enough to review the past. Rottenberg says, “A keen awareness of what has already gone wrong and what can go wrong helps a person avoid similar stressors in the future.” Feel like staying in bed and ruminating? It may not be a waste of time, says Rottenberg. There are Charlie Browns in every family. The thing to watch out for is that this low mood, what Rottenberg calls “shallow depression” doesn’t turn into “deep depression.” The difference being that a deep depression is a major depressive episode with multiple symptoms (change in appetite, low energy, sleep disturbance, inability to concentrate, loss of interest or pleasure) and lasts for at least two weeks. Deep depressions are serious and require additional treatments for recovery (talk therapy significantly helps). I wonder if Charlie Brown sometimes slips from low into the deep depression category. There is a rising number of us that do. More than 30 million adults in the United States suffer from depression. Despite the epidemic nature of depression, very little is known about the brain or the science of our mood systems. New ways of thinking about mental illness are emerging. From the perspective of mood science, shallow or deep depression results from our mood system and are not viewed from a disease model. Periods of depression can be followed by periods of thriving. Charlie Brown’s own story seems to echo this pattern of mood changes. If we think of shallow depression as an invitation to contemplation, that leads to insight, then perhaps it is not such an awful thing to be like Charlie Brown at Christmas. And it is an even better thing if we can find, in the midst of holiday blues, friends to cheer us, friends to help decorate the tree and to remind us of the real Christmas story. Psychiatric help is also an option. But for five cents, you get what you pay for Charlie Brown. Perhaps the genius of Charles Schulz is that he didn’t shy away from exploring Charlie Brown’s low moods, and in giving a little boy a downcast spirit at Christmas, he was able to lift our own.